Don't be calm, be wild. Cause with his Lullaby, we're shaping up one sleepless night. Join us next month as Blowfish Anniversary Week with the modern house virtuoso, R3HAB! 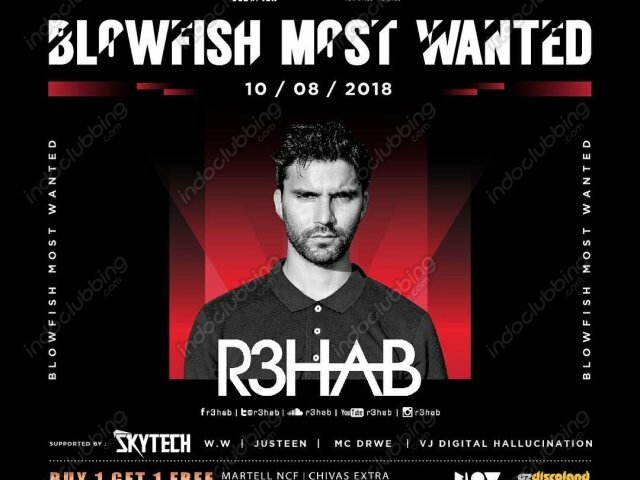 Mark your agenda - 10 August 2018, and get ready for the hottest BLOWFISH MOST WANTED night ever! Stay tuned for further information.